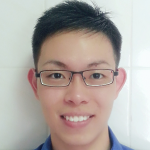 I am a student reading biomedical engineering in National University of Singapore. I have special interest in the global relations of China and developments in Asia. A Big Bang in India!